Come to Jaguar Exeter to lease a Jaguar sports car near Portsmouth, New Hampshire. It's the perfect option for Jaguar drivers who like to keep things simple by leaving the maintenance and repair of their Jaguar car or SUV in the hands of the dealership. If you don't intend to put a lot of wear and tear on your Jaguar vehicle, leasing a Jaguar vehicle might be the right choice. Get in touch with the experts at our financing department today to talk about your lifestyle, budget, and preferences in order to make the right choice about leasing versus buying a Jaguar vehicle. At Jaguar Exeter, we have a number of exceptional Jaguar vehicles available to lease near Portsmouth, NH. Come to our Jaguar dealership to test drive the Jaguar I-PACE, Jaguar F-PACE, Jaguar E-PACE, or Jaguar XF, and speak with our sales team about available upgrades and trim packages that work within your Jaguar lease budget. 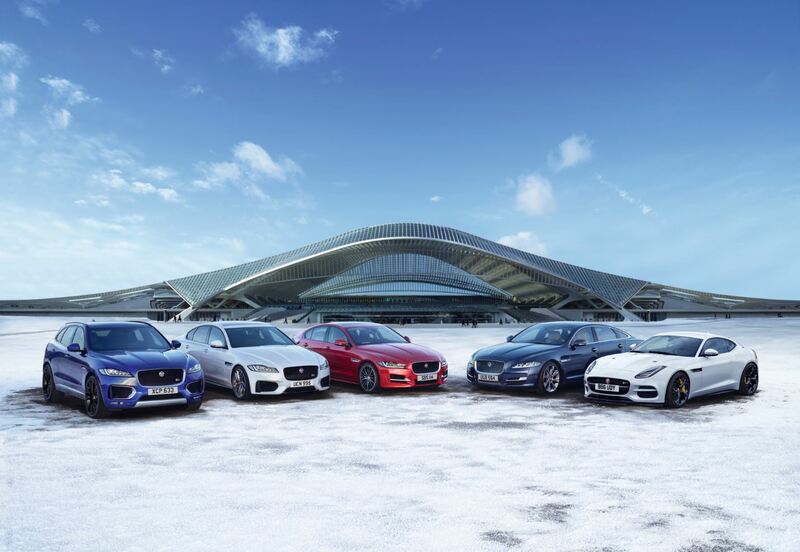 At Jaguar Exeter, our goal is to help you achieve the Jaguar vehicle of your dreams. From impressive SUVs to speedy sedans and sports cars, we have your dream vehicle. So, don't wait. Talk to our team today about financing your next Jaguar vehicle with a lease. The financing department at Jaguar Exeter helps drivers near Portsmouth, NH drive off the lot in a new Jaguar car with a variety of financing options. We can help you trade in your current Jaguar vehicle for the latest model or finance your purchase with an automobile loan. Our financing team creates custom lease or loan packages for every one of our customers. Come see us today.